Please check out our Herf Ed page for a great article by Heather Smith Thomas!!! 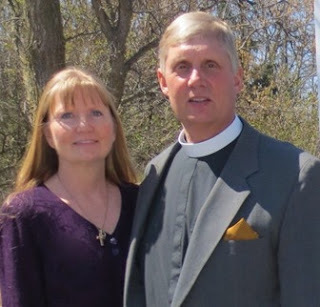 Mark grew up in Chaska, MN where he had a small farm and was very active in 4H and cattle showing. After high school he went to college to begin studies in Animal Science. However within two years his life brought changes, which included getting married and moving in a different direction. He began his studies for the Office of the Holy Ministry. 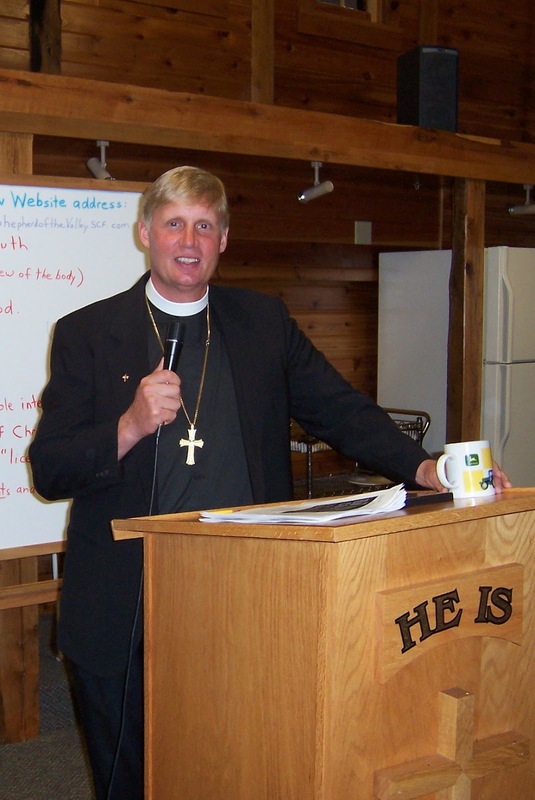 He has been an a pastor in a Bible based Lutheran church (The Lutheran Church- Missouri Synod) for 34 years. 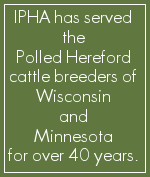 In 2001 we purchased a small farm north of St. Croix Falls. It was here that we would begin our own Hereford farm. Big Rock Creek flows through our land, so we decided to name our Hereford farm "Christ the Rock Creek Farm" Now he has come full circle, starting out farming and now able to serve the Lord plus raise cattle. That is why our farm promotes our Lord, our Lutheran Church, and the cattle we love. We have great compassion for our animals and they are treated with much care and respect. It is a great form of therapy and enjoyment for the two of us. 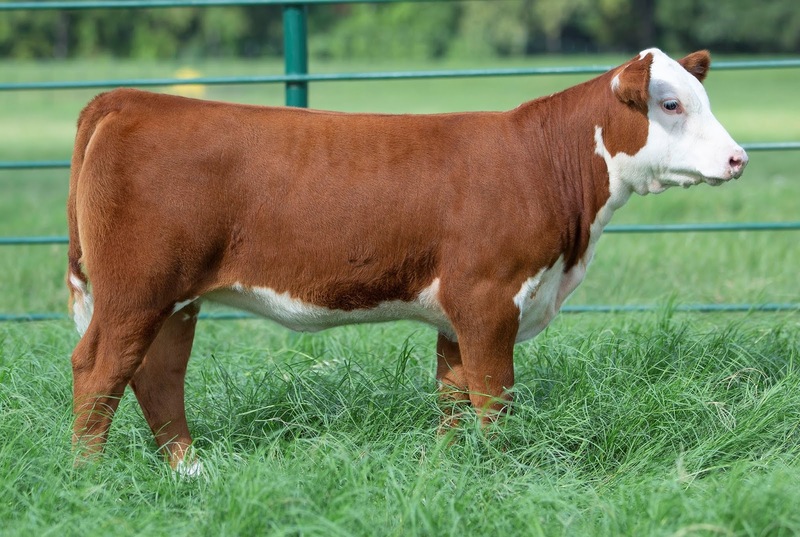 Dam: ILR Iron Lady 459B ET We feel Lady Extra is the best X51 female around! 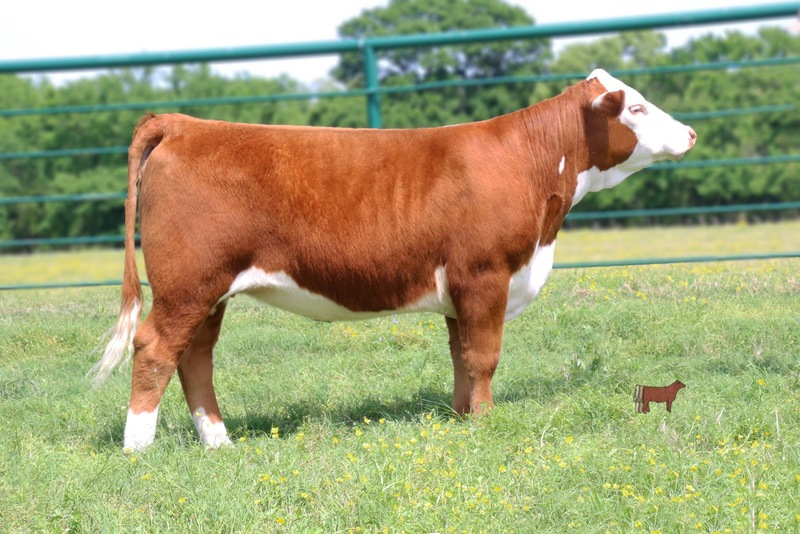 Dam: RPH Maiden 95T This is a heifer that we own with Iron Lake Ranch. She is due to have a Sooner / Beth 1L calf in March, 2019.
of style and shape. Her maternal sire is Trust. She is a beauty out of deceased Regal. Dam: SR 021W Bayrose 4300 ET . Iron Lake Ranch selected Bayrose as their Pick of three flush mates at Sierra Ranches - California a few years ago. 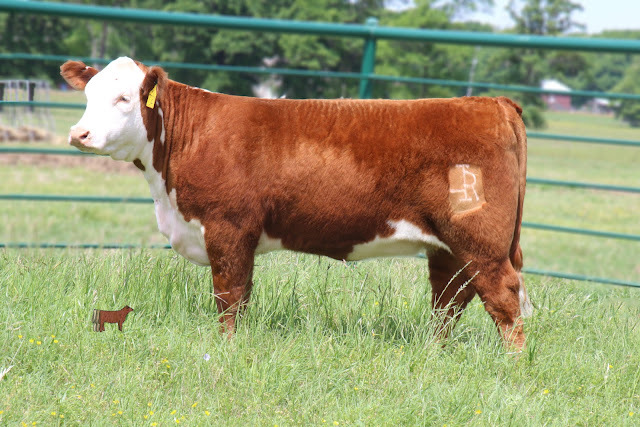 We purchased her natural heifer calf at the Iron Clad Genetics sale 2018 ~ she is a May heifer. We are looking forward to great things from her. C Miles McKee 2103 ET. Purchased from Iron Lake Ranch. C Miles McKee 2103 ET set the World Record for a cattle sale selling for $600,000. 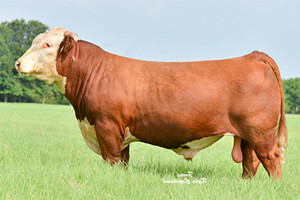 Bred by Colyer Herefords. Our Access bull has given us some excellent calves. He is a maternal brother to Wildcat and out of the Donor Maiden 95T. 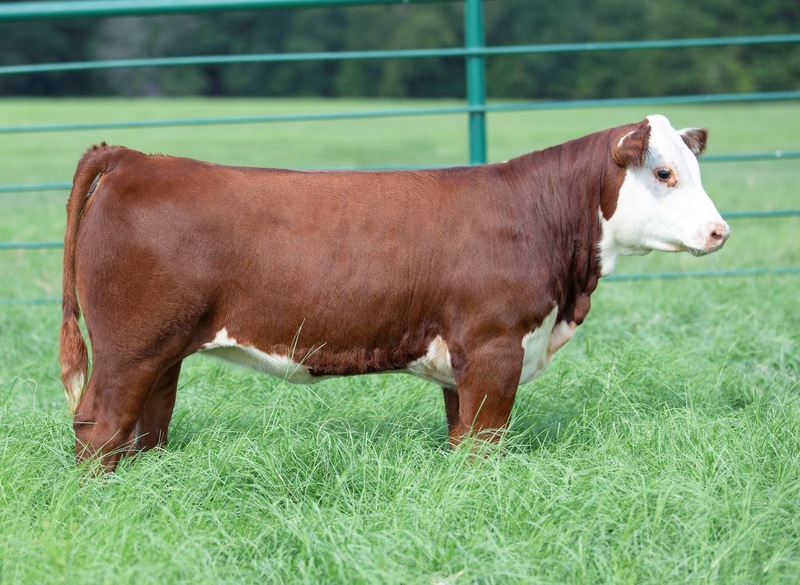 Sierra Ranch bought Maiden at the Iron Clad Genetic Sale for $17,000. and sold a flush for $15,000 at Denver a few years ago. ILR Accesss is Marbling, high Scrotal and is perfect to work with. He is for Sale. Christ the Rock and Rock-Solid Seedstock. Psalm 50:10 "The cattle on a thousand hills are Mine." IPHA Banquet and Spring Sale April 12-13, 2019. Save the Date!